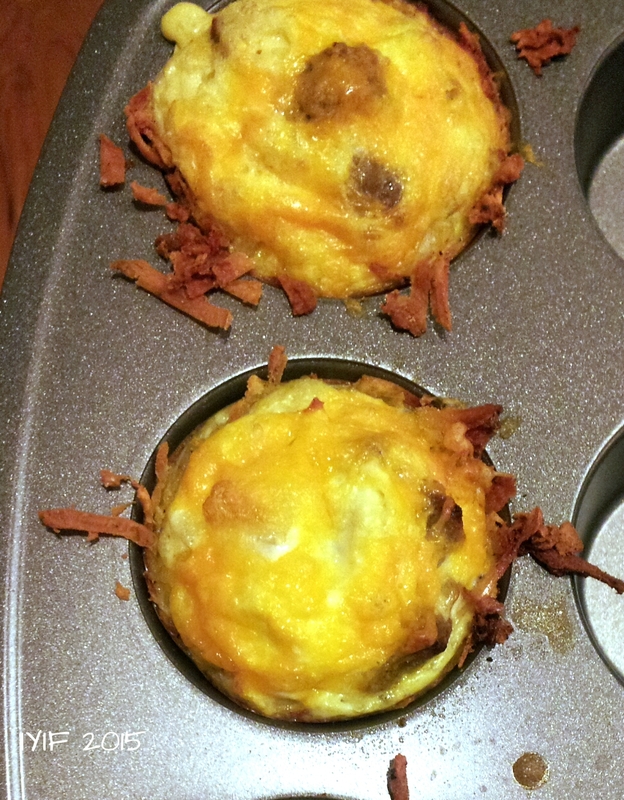 A New Take On Hash Browns and Eggs…..
Today I bring to you yet another breakfast recipe. I’ve warned you before that breakfast is my favorite meal of the day so you can’t really blame me. This recipe hits all the stops, you really can’t go wrong. With colder weather infiltrating our homes it is always a good way to have a nice hot breakfast, or brunch, and if you can make it fun and interesting, well, that just takes the boring right out of traditional oatmeal or eggs and toast. 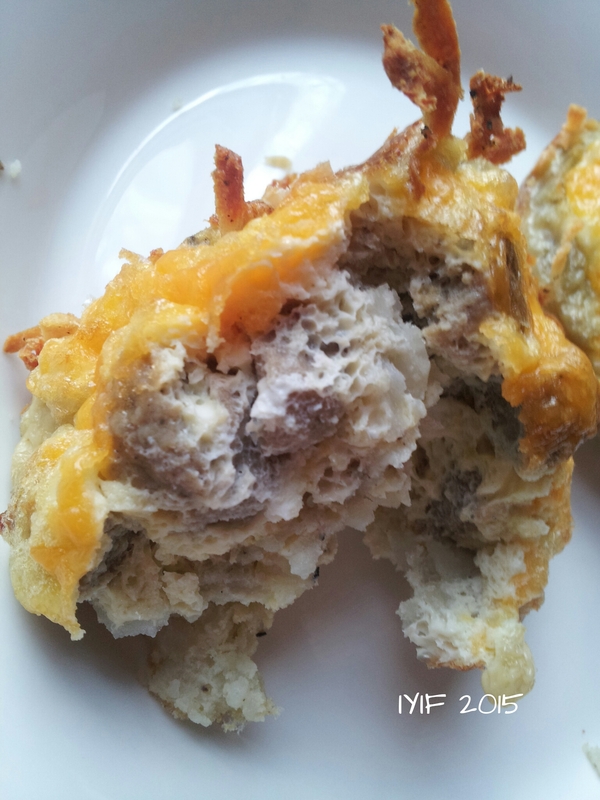 This recipe could be paired with a number of different breakfast foods, or even lunch and you will have a crowd pleaser. This recipe is one that you can use whatever extras you have in the fridge, it is fairly cheap, and is very hearty, filling, and safe for anyone on just about all dietary paths. A few years ago when I was pregnant I was obsessed with hash browns. Not being the type of person to eat out very often, and hating to buy frozen hash browns I decided to try my hand at making my own. I didn’t do any research, because really how hard could it be? 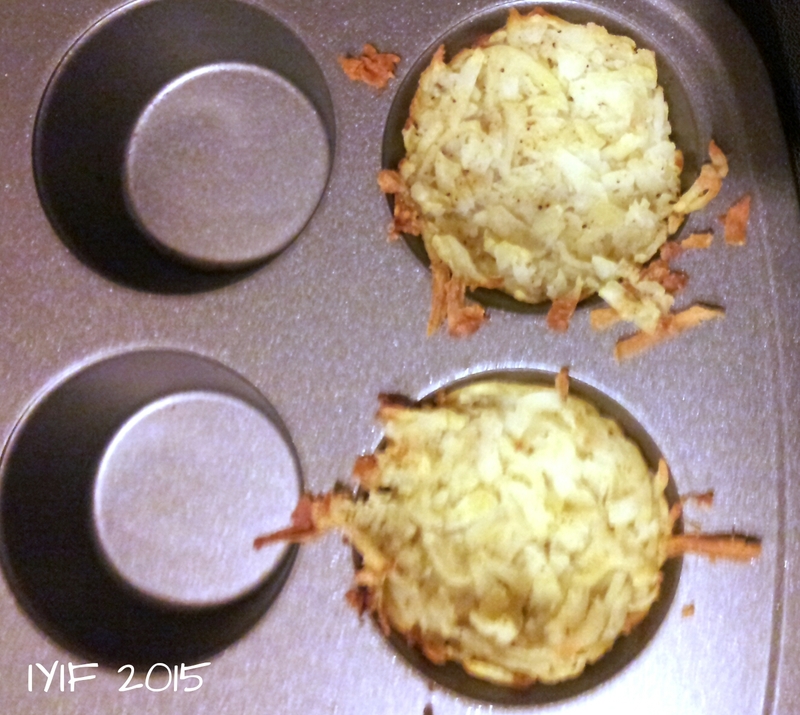 Well, unless you like GRAY shredded potatoes, there are a few tricks that everyone who makes hash browns should know. After the gray incident I decided I was never going to try to make them again, that is until a few weeks ago. The key to your potatoes not turning gray is to make sure that you squeeze as much water out of them as you can. (After doing that they came out restaurant quality!) 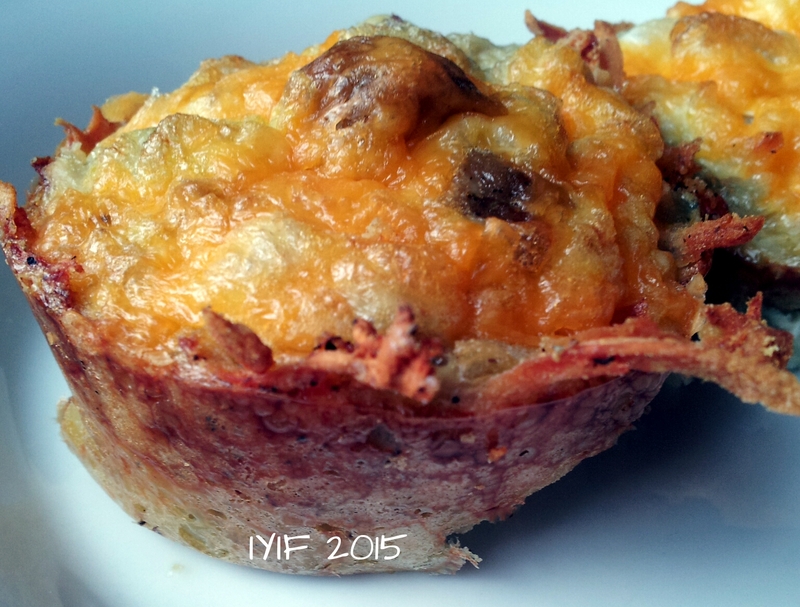 Then I started seeing a dozen different versions of hash brown and egg nests all over the internet. 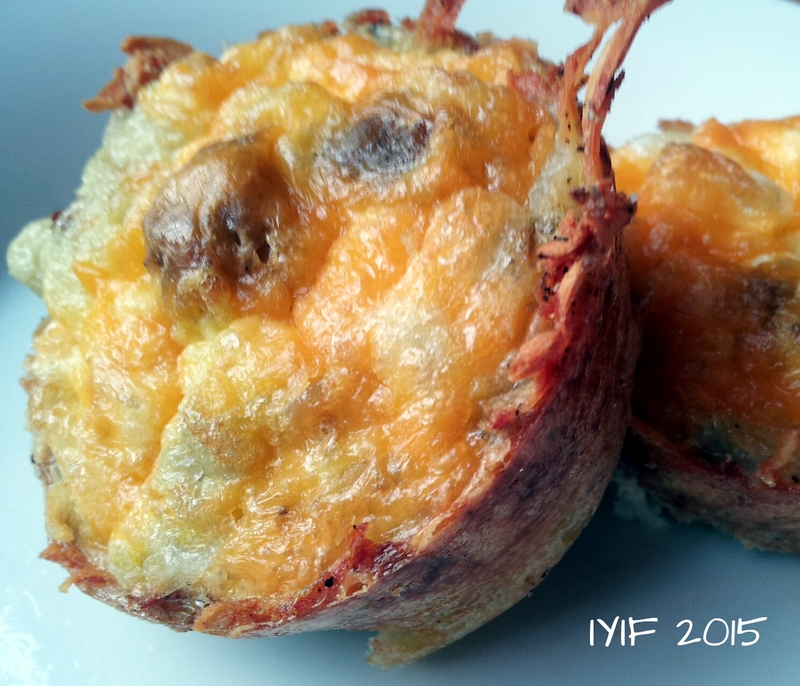 Some people were using frozen, some were using fresh, but even though the author’s pictures turned out beautiful there were a lot of comments that claimed that the recipes were sub par, the potatoes didn’t crisp, and the bottoms stayed mushy. Not wanting to waste a ton of potatoes I kept doing my research and I ran across Ree Drummond’s recipe, or you may know her as Food Network’s “The Pioneer Woman”. She said she had tried every way, and finally came up with cooking the potato first, then grating them. Ok, cooking them first, sounded like an ingenious idea, but if you are in a rush, you might want to rethink what you are doing. I threw a potato in the microwave and then while it was still fairly hot, yes, I burned myself a couple of times, I grated it, or rather mashed it with a grater. It was a flop; the moral of this story is you can’t grate hot potatoes. 😉 Not to be out done by a potato I decided I would try one more time. So, the same night I made potatoes for dinner, cooked them in the microwave like I always do, and put one in the fridge to cool until the next morning. I undercooked it slightly so it was a little firm, and it grated like a charm! Thanks Ree! As far as the filling went I just used what I had in the fridge. You could use anything from mushrooms, to spinach, to bacon, or green peppers, but I happened to have turkey sausage links, and cheddar cheese, so that is what I used. And they turned out beautifully! 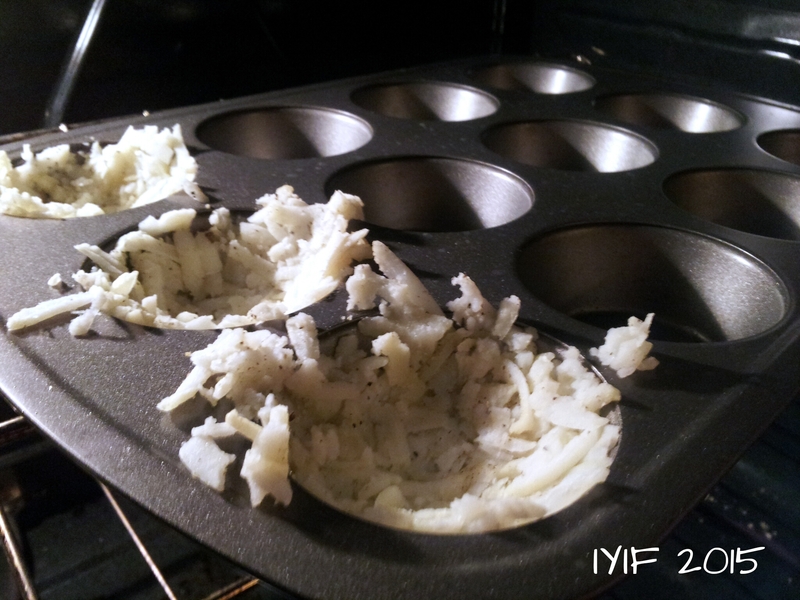 One little tip I can give for when you cook the nests is spray the muffin tins really well with non-stick cooking spray and make sure that you press the potatoes into the pan firmly. They also reheat really well; I ate one that was leftover the next day for lunch. Whether you are eating them alone, or adding them to a beautiful breakfast spread, they will make an amazing addition to your meal. So, sit back, relax, and enjoy! These look so good!!!!! I love shredded hash browns. Thanks for the avoiding the grey tip! I’ve definitely experience that mishap before. Thanks! Yep, grey is no good. 😉 Hope you enjoy them!